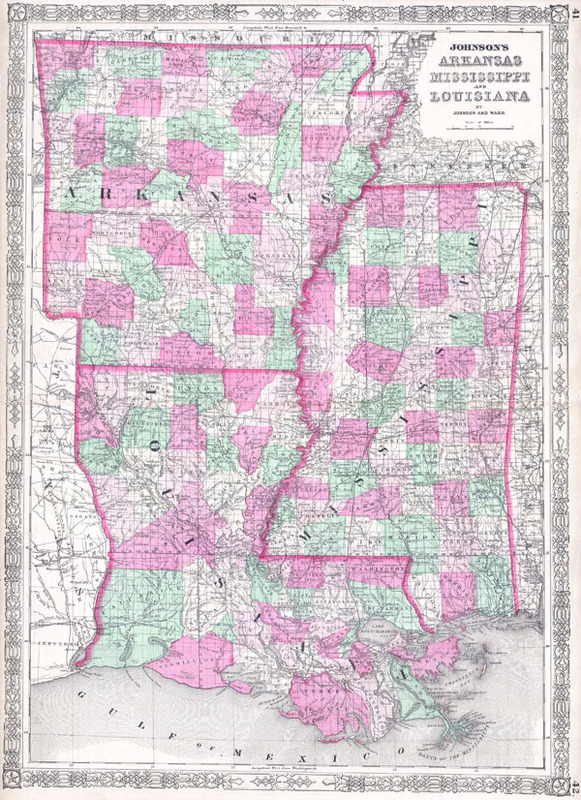 This is a beautifully hand colored 1864 lithograph map of Arkansas, Louisiana and Mississippi. Shows the states in beautiful detail as they appeared at the close of the American Civil War. Fine or perfect condition with clean margins. Blank on verso.